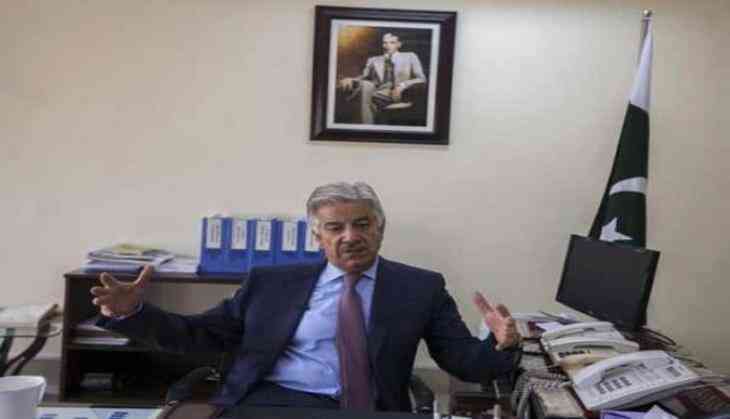 Pakistan Foreign Minister Khawaja Asif, who is planning to visit China and Russia for garnering support in the wake of United States President Donald Trump's criticism of Islamabad for habouring terrorism, is set to review its strategy as the BRICS have, for the first time, named militant groups based in Pakistan as a regional security concern. The dates of the foreign minister's visit to Russia and China are yet to be finalised as the policy makers will be required to closely read and analyse the BRICS Declaration to formulate their strategy and find out the difference between its focus and stress and that of President Trump's statement, The News International reported. The BRICS Declaration has specifically mentioned terror outfits saying "we express concern over the security situation in the region and violence caused by the Taliban, the Islamic State [IS], Al-Qaeda and its affiliates, including the Haqqani Network, the Lashkar-e-Taiba [LeT], the Jaish-e-Mohammad [JeM], the Tehreek-i-Taliban Pakistan [TTP] and the Hizbut Tahrir." The leaders of the five emerging market BRICS powers have also said that the patrons of terror organisations should be taken into account. The foreign minister, who on an invitation of his American counterpart was planning to visit Washington, has delayed his trip and announced that before going to the United States, he would embark upon a visit to Beijing, Moscow and Ankara to consult with them on Trump's severe stand against Pakistan. While announcing his strategy for Afghanistan and South Asia, U.S. President Donald Trump said, "We can no longer be silent about Pakistan's safe havens for terrorist organisations; we have been paying Pakistan billions and billions of dollars. At the same time, they are housing the very terrorists that we are fighting. That will have to change and that will change immediately." However, unlike the U.S. President, the BRICS did not name Pakistan. But the reference to the Haqqani Network, the LeT and the JeM pertained to Pakistan although Islamabad has consistently and vehemently repudiated any role of these organisations in terrorist activities in Pakistan or outside its territory. China had defended Pakistan after Trump's remarks, saying its neighbour was on the front line in the struggle against terrorism and had made great sacrifices and important contributions in the fight and even aske India to not name Pakistan, while raising the issue of terrorism.